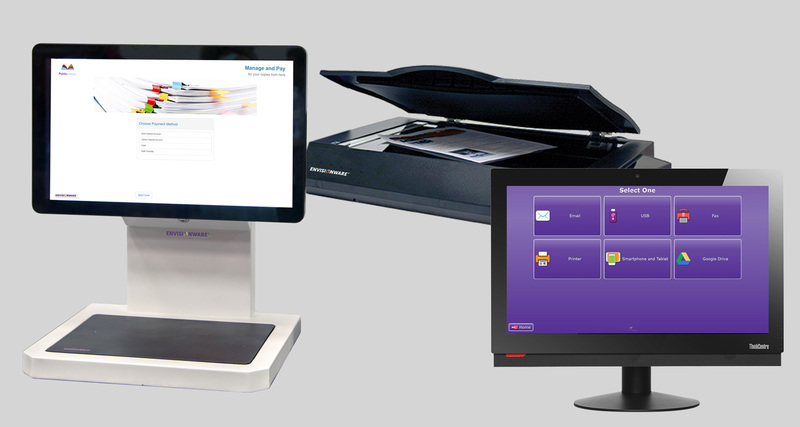 Scanning, copying and faxing solutions to make patron self-service a breeze and streamline staff services. EnvisionWare offers scanning, copying and faxing solutions to make patron self-service a breeze and streamline staff services. The Library Document Station™ is the first do-it-all document station designed for public libraries providing Patron self-service copying, scanning and faxing. EnvisionWare’s Copy Payment Manager™ provides enhanced flexibility in how patrons pay for copies and centralises copy payment reporting.